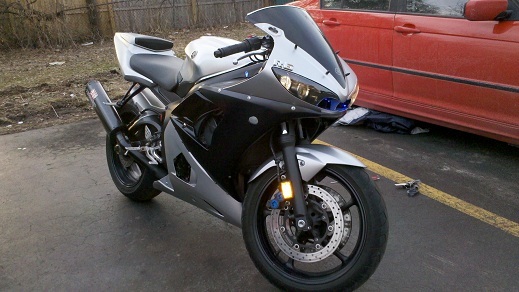 Description Silver with black fairing. Dent on the right of tank. blue led's wired into the nose. black yoshimura exhaust (custom) blue skull switch for led's Yamaha decal on bottom fairings which had been painted over silver. No decals except for chrome r6 symbol on front fairing, and swingarm.